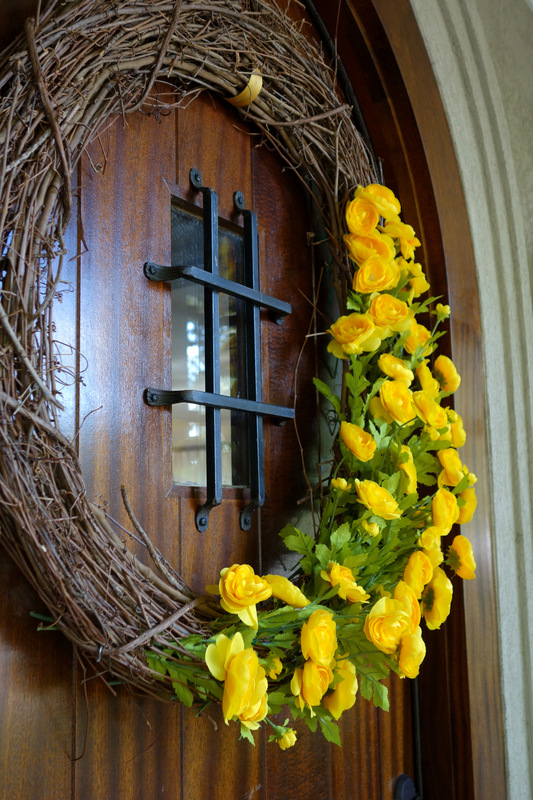 I’ve been looking for a 32″ fall wreath for a long time, but couldn’t quite find one that was beautiful enough. Not to mention worth it . 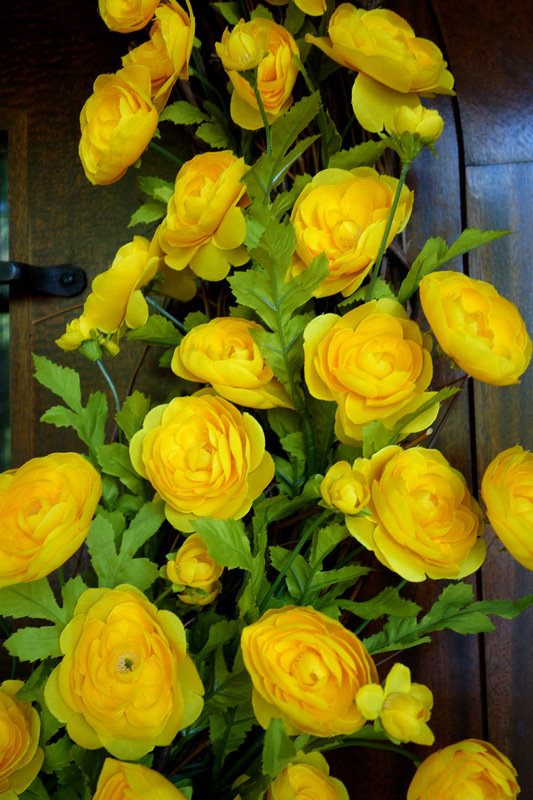 I went to Michael’s last week to pick up a few things when I ran across these beautiful yellow ranunculus. After I saw that they had a large 32″ twig wreath I decided to go ahead and make my own fall wreath. 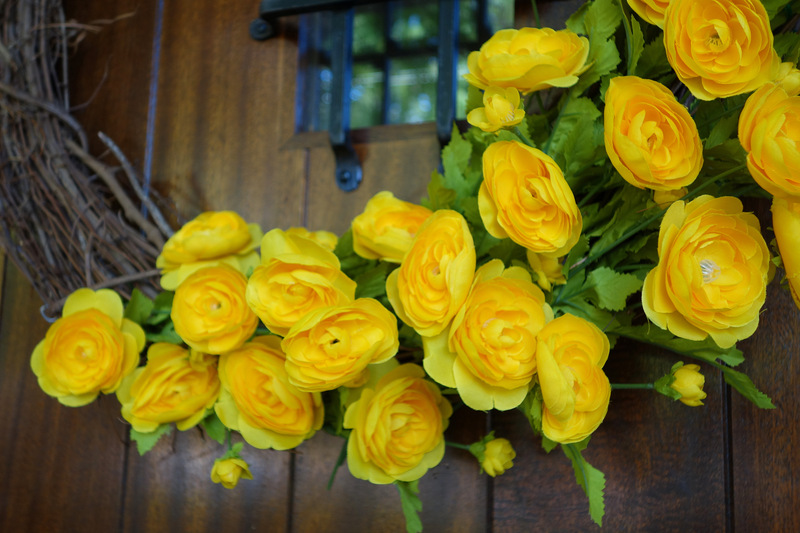 I got the twig wreath and all the ranunculus (21 stems with 3 blooms/stem). To make the wreath I cut each stem into 2 pieces and arranged the stems around an off-centered half of the twig wreath. Most of the stems fit pretty snug into the wreath, those that didn’t I tied down with some green wire. My front door has now embraced fall for a mere $70! This entry was posted on October 22, 2013 by natalyaperullo in Misc. and tagged Autumn, fall wreath, twig wreath, Wreath.